Analyst house Gartner, Inc. recently released its new Market Guide for Data Preparation. The researcher’s Market Guide series is meant to cover new and emerging markets where software products and organizational requirements are in limbo. Gartner’s Market Guides can be a great resource for understanding how a fledgling space may line up with current and future technology needs. Though Gartner’s Market Guide is not provider-centric, and instead, aims to provide a more overarching view of the software space, the research house does mention the vendors to watch as things take shape. 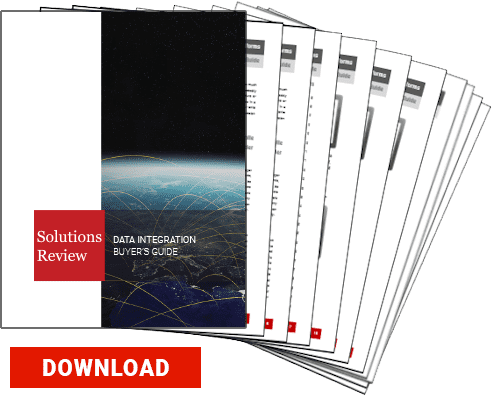 Many of the solution providers included are major players in vertical markets, such as BI and data analytics and data management. Gartner highlights the following providers in data preparation: Alteryx, Cambridge Semantics, ClearStory Data, Datameer, Datawatch, IBM, Lavastorm, Lore IO, Oracle, Paxata, Rapid Insight, SAP, SAS, Talend, Tamr, TMMData, Trifacta, Unifi,Elegantj BI, Hitachi Vantara (formerly Pentaho), Informatica, Microsoft, MicroStrategy, Podium Data, Qlik, Tableau, Yellowfin, and Zaloni. At Solutions Review, we read the report, available here, and pulled out the key takeaways. This marketplace is unique because it encompasses providers, technologies, and software products from other vertical markets, with many of the top vendors including data preparation capabilities inside their existing BI and analytics, data science, and data integration solutions. In this way, data preparation tools lack definition. However, an increasing number of enterprise technology providers are expected to follow the footsteps of forward-thinking vendors in releasing standalone products. Adoption of dedicated data preparation tools is being driven largely by the proliferation and demand for data analysis in enterprise settings. It’s not just the need for advanced analytical processing, but the expanding and increasingly disparate nature of enterprise data sources. This has caused a great degree of friction between line-of-business users and centralized IT, and since data preparation can be such a painstaking process, analyzing the right data can be a struggle.